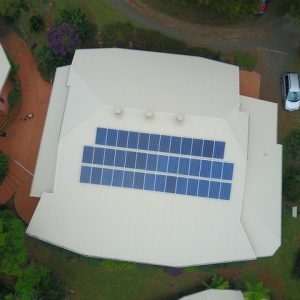 As families continue to grapple with rising electricity prices and the extremes in weather changes making habitable spaces harder to keep comfortable, Chrysalis School has partnered with local renewable energy engineering firm, Enesol, and the NSW Department of Planning and Environment to address the needs of its increasing student numbers and growing demand on the electricity grid. After over 35 years of Steiner education in the Thora Valley, west of Bellingen, on the mid north coast of NSW, Chrysalis is now the third biggest school in the Bellingen Shire. The geographical setting of Chrysalis is unique, and the same might be said for the social and innovative architecture created in the early years to enhance the connectedness with nature and appreciation of beauty encouraged in the children. With its unique setting comes infrastructure challenges, including limited availability of peak demand electricity via the national grid due to its rural location and legacy electrical systems. 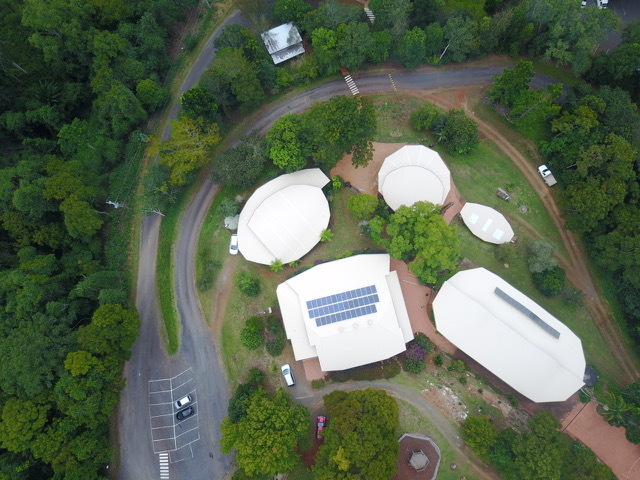 To address these challenges, Bellingen based, national consulting company Enesol created an innovative solution to overcome the issue of large capital expenses for traditional electrical network upgrades in order to install some much needed air-conditioning systems. Enesol successfully applied for government funding as part of the NSW Department of Planning and Environment’s $300,000 Clean Energy Knowledge Sharing Initiative. The Enesol – Chrysalis School project is one of only 10 successful projects and feasibility studies across the state! “This innovative project enables the school to install further air conditioning systems to reduce heat stress in summer and increase warmth in winter while avoiding large capital expenses and reducing operational costs at the same time. With the DPE funding in place, the school’s budget impact is minimised, the network impact is negated and a ‘win-win-win’ solution is created for all parties.” says Kersten Schmidt who leads and manages Enesol in conjunction with Mark Shakeshaft, both experienced renewable energy pioneers who have been involved in the renewable and microgrid industry since the early 1990’s. Chrysalis is excited to have this opportunity to partner with the private sector and utilise the generous matched funding provided by DPE to meet its sustainability goals and further minimise the school’s existing draw on the national grid whilst increasing the use of clean energy. The primary objective of this project is to decrease electrical loads on the site (which has limited supply) by increasing the amount of locally produced solar energy, introducing battery storage to absorb excess solar energy as well as address increased peak demand and provide a more reliable energy supply during times of blackouts. Overall, the comfort and wellbeing of our school community will be enhanced, expensive network upgrades will be avoided, operational electricity cost for the school will be reduced and the innovative project will have educational benefits for the students and be a showcase of intelligent application of the latest technology for the wider community. “The initiative provides an opportunity for innovators and early adopters to test and trial new clean energy solutions,” Minister for Energy and Utilities Don Harwin said.